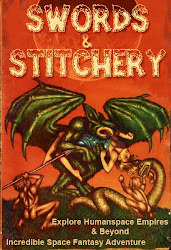 Swords & Stitchery - Old Time Sewing & Table Top Rpg Blog: Dead Gods - Algernon Henry Blackwood & Goodman Games Original Adventures Reincarnated series 2 The Isle of Dread"
Dead Gods - Algernon Henry Blackwood & Goodman Games Original Adventures Reincarnated series 2 The Isle of Dread"
From the title you would think that I was speaking of good old HP Lovcraft & in that regard you'd be dead wrong. No instead I'm going to point in the direction of a writer of weird fiction that many don't even know today. I'm speaking of Algernon Henry Blackwood the British Writer weird fiction of no little repute; Algernon Henry Blackwood, CBE (14 March 1869 – 10 December 1951) was an English broadcasting narrator, journalist, novelist and short story writer, and among the most prolific ghost story writers in the history of the genre. The literary critic S. T. Joshi stated, "His work is more consistently meritorious than any weird writer's except Dunsany's." and that his short story collection Incredible Adventures (1914) "may be the premier weird collection of this or any other century". So what does Algernon Henry Blackwood have to do with Goodman Games Original Adventures Reincarnated series 2 The Isle of Dread? Well quite a bit you see he was a contemporary of Arthur Machen another favorite Appendix N author of mine but his influence as an author stretches much further; "Authors who have been influenced by Blackwood's work include William Hope Hodgson, George Allan England, H. P. Lovecraft, H. Russell Wakefield, "L. Adams Beck" (Elizabeth Louisa Moresby), Margery Lawrence, Evangeline Walton, Ramsey Campbell  and Graham Joyce." 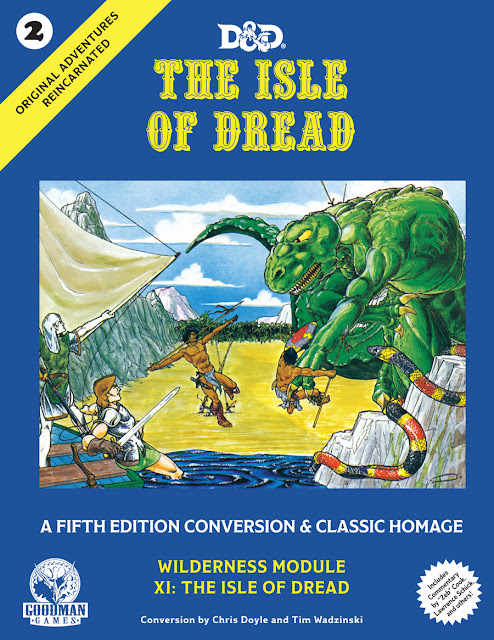 "Goodman Games Original Adventures Reincarnated series 2 The Isle of Dread" features the titiular isle of the original adventure module. We know that there are a great many ancient legacy's & lost factions on the isle but its another angle that we'll connect up with the writings of both HP Lovecraft & the Lovecraft circle. What if I was tell you that the isle of Dread was once a very important part of the Robert Howard's Serpent People & will be again? B6 'The Veiled Society' takes place in the same world of Mystara as X1 The Isle of Dread. The fact is that the island was once a part of a world spanning empire ruled by the serpent men. The island became a battle field for the ancient enemies of the serpent men but the hidden temple inhabited by monstrous, mind-bending creatures known as kopru hints at things. Things that reveal the terrible enemies of the serpent men the kopru. 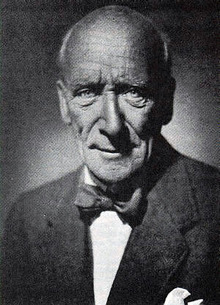 Algernon Henry Blackwood hints at the fact that just beyond the glossy cover of the wildness there is a teeming world of supernatural & occult horror. Flipping back to the reptile cult from Tomb of the Lizard King is the fact that the Lizard Kings were the royal servants & vassal class of the serpent men. This comes from the fact that the serpent men once ruled the Lizard coast of Hyperborea. Again this is something that we see X6 'Quagmire'. Because of the local issues with the local time space continuum we see a lot of issues with the isle of Dread. This makes me wonder if a super weapon or final solution of genocidal proportions was used. The the terrible enemies of the serpent men the kopru seemed to have backed the serpent men into a corner. This all takes place in the far future of Earth thousands of years down the road. This is where N1: "Against the Cult of the Reptile God" (1982) can be used to build up both the first module & this mini campaign by turning adventure elements onto themselves. 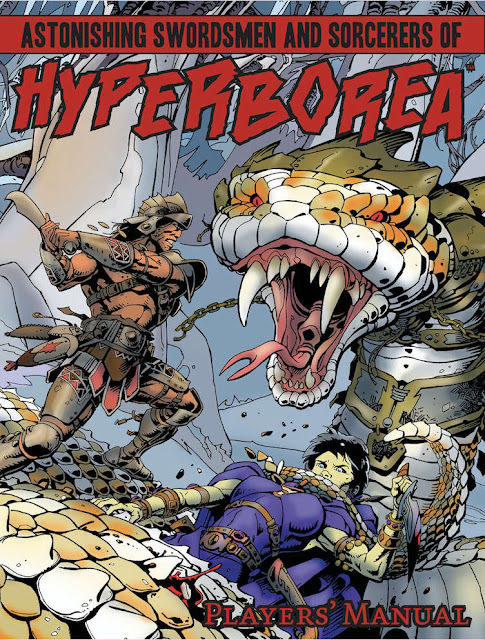 Astonishing Swordsmen & Sorcerers of Hyperborea rpg campaign setting capital is built upon the bones of the serpent people figuratively & literally. 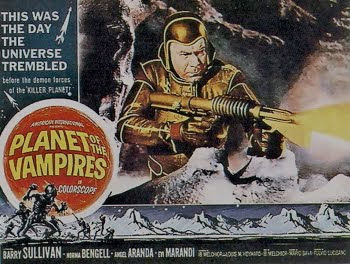 The aim to move the world of the far future much closer to the world that the serpent people had left behind. There is little doubt in my mind that the PC's are going to be able to handle the full story of the extent of the serpent people's infiltration. Clark Ashton Smith's Zothique is another front in the Hyperborean war. But what we're not clear on is where either Zothique or Hyperborea is within such a timeline of future history. What we can be certain is that Ragnarok has happened & a great many of our conventional gods of mythology are dead in AS&SH. Did these events open doors that should have been closed right from the beginning of time itself? Possibly but what you really have happening is the appearance of the isle of dread & its appearance scares the hell out of both the serpent men & the gods. The fact that it touches the plane of Water, Hyperborea, & Zothique shocks & terrifies the gods. There are a great many rotting but still unliving carcasses in the waters surround the isle & in the oceans of Zothique. When & how is unimportant but the fact that there there signals the beginning of the end for the contemporary gods. Who & why we'll get into tomorrow.